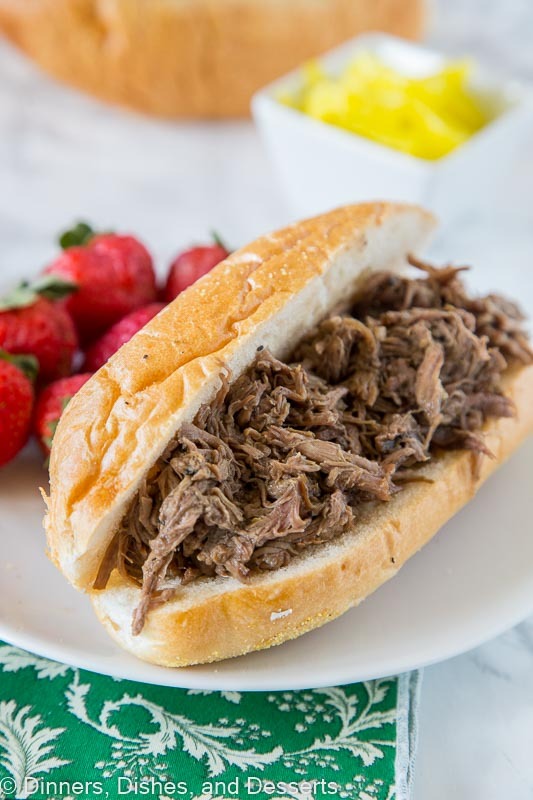 Slow Cooker Italian Beef – use your crock pot to make these super tender Italian Beef Sandwiches. Cooks all day in great spices, for a tender and flavorful dinner. Crock pot season is here. Or slow cooker season. What do you call it? 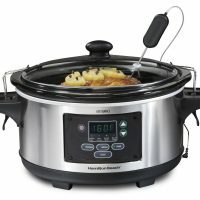 I always call it a crock pot, but I see more and more recipes called slow cooker online. 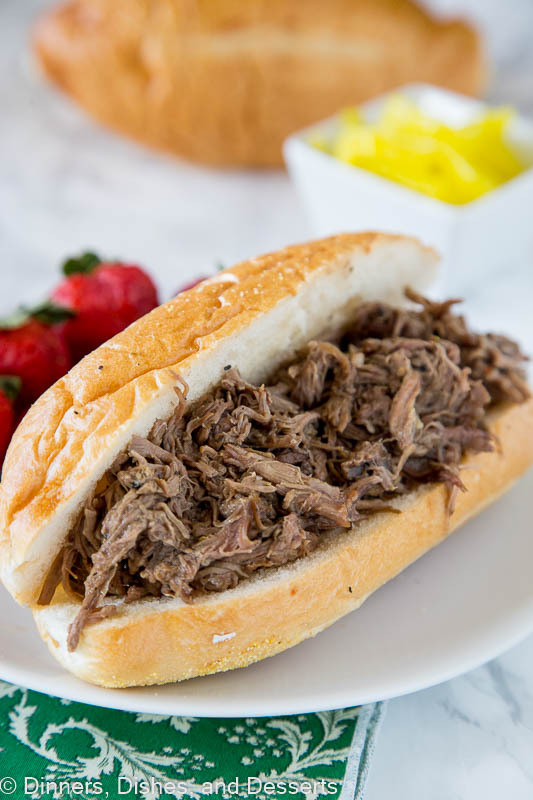 So whether you call it slow cooker Italian beef for Crock pot Italian beef it doesn’t matter, you get one tender, juicy, and delicious sandwich. 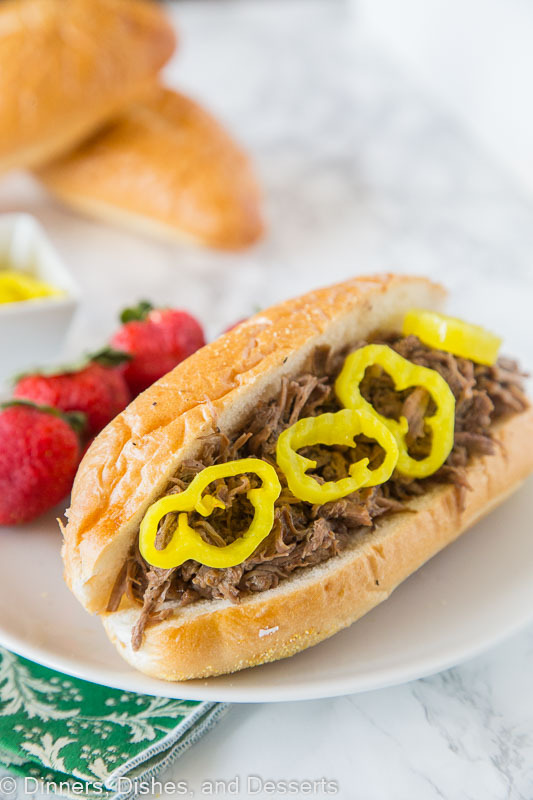 I did not grow up having Italian beef sandwiches, it just wasn’t something my mom made. But my mother in law did though, so when I met my husband they became something we had a family functions or times when we had to feed a large group. 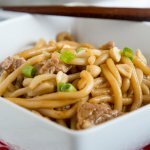 Kind of like this Slow Cooker Jambalaya that I can’t wait to try! 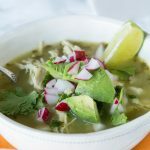 This recipe would be great to make in the Instant Pot as well. I am obsessed with my Instant pot lately. 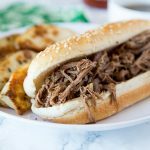 Use the same time and method as the Instant Pot French Dip Sandwiches, but these with these spices, and you can have it ready even faster! 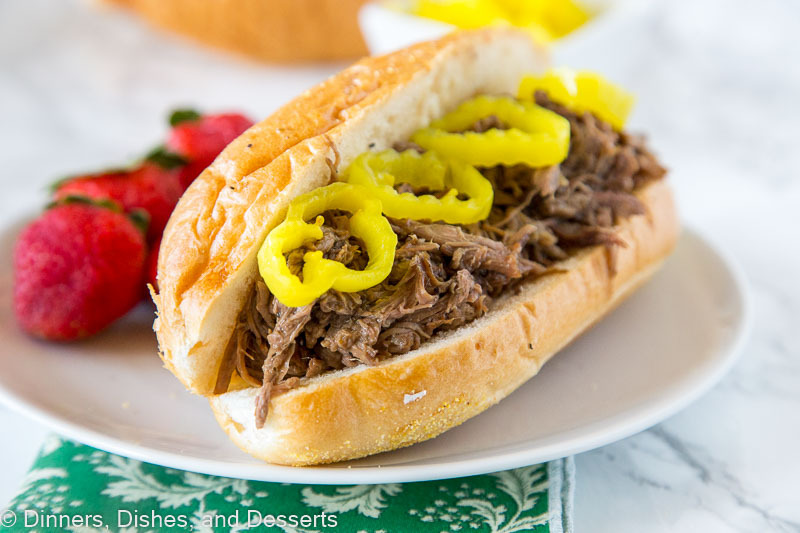 This crock pot Italian beef recipe is so easy to make and have for super busy nights. You can spend less than 5 minutes in the morning and have dinner ready and waiting for you when you get home from work. You just need a handful of spices that give the beef a ton of great flavor. I love crock pot recipes for this reason. Crock Pot Chili is my favorite for dump and then come home to the best meal ever! My family is torn in how we like to eat them. 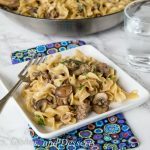 I love Italian beef with sauteed mushrooms on mine. My son likes his topped with cheese. And my husband wants his with cheese, banana peppers, and sriracha. But the nice thing is everyone can assemble there own, and everyone gets exactly the Italian beef sandwich they want. 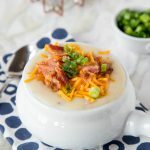 This is a great recipe to make when you have a house full of people to feed, because it makes a ton! But I also like to make it when it is just the 3 of us and then have leftovers during the week, or even freeze the beef for later in the month. Great to serve with a side of fruit, your favorite roasted green beans or even a salad for an easy busy weeknight meal. This is the crock pot I have, and I love it for big cuts of meat like this. 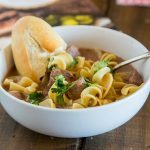 Slow Cooker Italian Beef - use your crock pot to make these super tender Italian Beef Sandwiches. 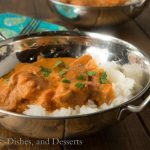 Cooks all day in great spices, for a tender and flavorful dinner. 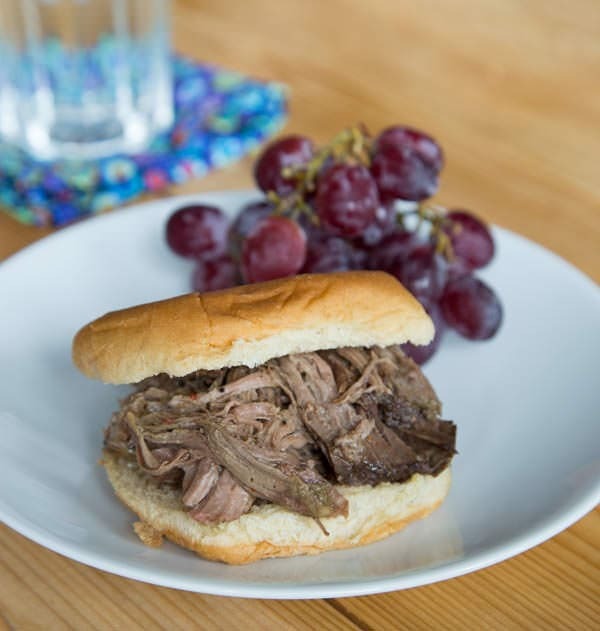 Place the chuck roast into the slow cooker. In a bowl combine the remaining ingredients. Stir until well combined. Pour over beef roast. Cover and set on low for 8-10 hours. You can freeze the leftovers, and reheat in the crockpot, microwave, or stovetop later. Yum!! 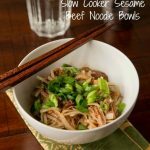 I love cooking beef in the crockpot! It turns out so tender! I love your beef sandwiches and all of the flavors you used on it! The sandwich looks delish! I would love to have this for dinner!! 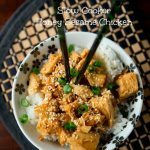 I love easy, slow cooker recipes – this one looks awesome! Oh..I think this is such a great recipe. Perfect for a busy weekend! 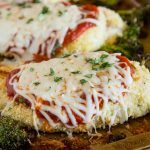 My husband would love this for dinner. 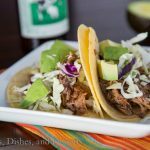 Crock pots are my best friend when things get hectic. Love easy dinners like this!! I need to dust off my crockpot ASAP! Those Italian spices are making me hungry! Looks delish! 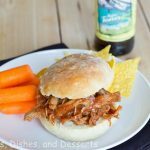 I need to pull out the slow cooker, great sandwich! I just love my slow cooker this time of year, especially on the weekends. I’ve never had italian beef sandwiches either, but a quick scan of the ingredient list has me convinced they’d be a hit here! Just started using my slow cooker. My hubby would love this sandwich!! 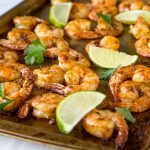 Love easy dinners like this one! My husband would love this! Oh my goodness! 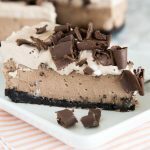 I am totally pinning this recipe ASAP! This looks amazingly delicious. This looks great and I’m sure my husband would love it too! 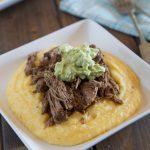 I love these kinds of recipes Erin, simple and using the slow cooker is perfect. Sundays we spend most of the day at church and I like to do the meal in the crockpot so this one will be great for the future. I’m dying over here. I’m originally from the midwest but currently, live in Oregon. The 3 things I miss the most about back home are my family, friends, and Italian Beef. Portland, OR does many things well, but Italian Beef is NOT one of them. I’m grateful to find your recipe because I’m jonesing for IB so damn hard. Your recipe looks amazing!